Despite its strong association with New Year's Eve, "Auld Lang Syne," written by Robert Burns in the 1700s, was never intended to be a holiday song. “The annual report by the nonprofit National Law Enforcement Officers Memorial Fund found that 50 officers were killed by guns this year, compared to 32 in 2013. Perhaps at this tumultuous end of year, we-all should pause and reflect and honor these 50 fallen heroes who dedicated their lives to serving the public. To them and those they left behind, we have a solemn obligation. WSJ: New York’s mayor doesn’t understand how police maintain order. Are There Red Fingerprints On Protest Signs? Really? That’s the Democrat’s primary goal? Is that what the voters of Virginia sent them to Richmond to do? Talk about obstructionists and misdirected non-public-servants! And to add insult to injury, they’re stupid and arrogant enough to publicly brag about it too! How can thinking-people continue to vote Democrat? I will serve the People of Virginia to the best of my abilities. I will fully and faithfully comply with my Oath of Office. I will fully support and defend the Constitution. I will serve in the best interests of the People of Virginia and not for my self-interests or for my party organization. If I am unable to serve these goals, then I will resign. We look forward to the resignation of all those who signed-up to the “create dilemmas” goal in this Richmond Times-Dispatch article. No --- That’s NOT IT! The Supreme Court of The United States determined the “penalty” for not having individual health care in the United States is a “tax”. If it were a “fine” then ObamaCare would be unconstitutional and we wouldn’t be going through this big mess and negative-disruption to our health care system. With 30 exception options from the “tax”, the 16,000 new IRS agents will be collecting very little, if anything, from the uninsured! What a farce! Did Obama, Reid and Pelosi ever apologize to the 85% of Americans who had healthcare insurance and were pleased with what they had before they set it asunder? Gasoline at $2 per gallon! Darn that Obama is good! How much was gasoline when Obama took office? 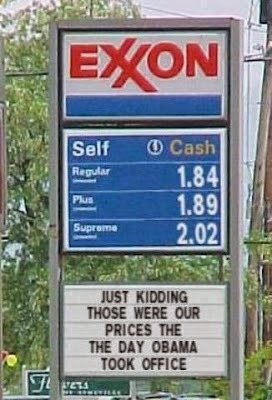 Why have we been paying $4+ for Obama-gasoline? It is indeed a major success that the American Free Enterprise System can solve problems in the face of massive government harassment and abuse and misdirection and malfeasance! GQ: Only 3 Out Of “The Crazy 20” Politicos Are Democrats? Apparently GQ magazine, in their fair and balanced way, were only able to find 3 Democrats they labeled “crazy”; the rest of the “Crazy 20” were Republicans! The NY Post didn’t waste any time offering up 16 Democrat candidates to fill out the 20! Didn’t the Liberal-Progressives go crazy themselves when Ross Perot used Patsy Cline’s song “Crazy” during his campaign? They (the left-wing crazy’s) raised such a fuss that Perot had to publicly apologize. Something about PC sensitivity to those with mental disorders; perhaps there’s extra sensitivity among liberals for personal reasons! If so, why is GQ now using the term to smear Republicans and denigrate those with real mental disorders? Don’t you just love left-wing wing-nuts – they’re so unfair and unbalanced! Roanoke Times, 12-29-2014, Pg 6: Ebola in West Africa has hampered the fight against malaria, that is killing thousands. With all due respect and I don’t mean this in a bad way but – this story is total heifer-dust. We, the people of the US, condemned over one million third world children to die from malaria each year by killing DDT (the only real mosquito killer). That ban was based on the results of faulty application processes, in many cases, by government agencies. Instead of fixing the real problem, we did a government solution! How sad is that! A pitiful news story several years ago was about President Bush delivering bed-cover-netting to Africa to address the malaria pandemic. In addition to the malaria issue, we have significant health issues right here in Virginia with Lyme, Rocky Mountain Spotted Fever and Alpha Gale tick borne diseases. Look at the tick spray you buy – it’s a so called “repellant”, it doesn’t kill anything but the diseases can greatly impact your health. By Kate Kelland, Reuters, Dec. 17, 2012: Global malaria battle stalls as financing gets tight. "Vector control" means stopping transmission of the disease with tools such as treated mosquito nets. If one million Americans (most of them children) died each year for 20 years from malaria one can be sure that the DDT factories would be turned back on, that proper and prudent application processes would be established and that “we” wouldn’t just be giving parents “nets” to put over their children’s beds! As a sequel to their Newtown CT “cartoon”, perhaps the Roanoke Times Editors can publish another gross “cartoon” showing Rachael Carson being gleeful at the death of 20 million African children while she collects the royalties from her books. Given that the Brown and Garner incidents were NOT racially motivated, and that almost all black crime victims are killed by other black people and the police are the only hope for future victims of black-on-black violence, one might question the motivations behind the ongoing marches and riots. Is it really widespread hatred for the police by most black people? Perhaps Al Sharpton and associates are getting some additional assistance. 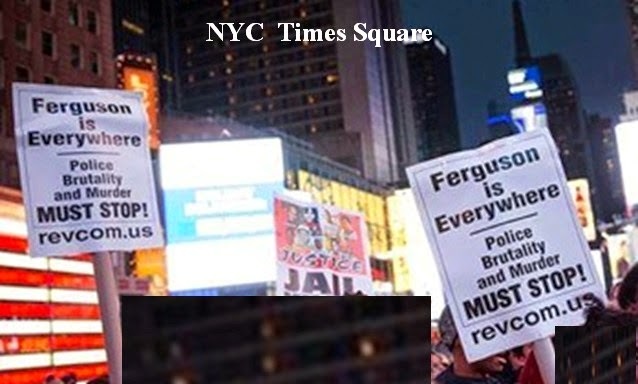 What’s that printed on the bottom of many look-alike protest signs? Snopes says its nothing – nothing to see here – move along folks. But there is a revcom.us and they appear to be part of an anti-American organization that was very powerful and headquartered in NYC and published “The Daily Worker” for many years. The revcom.us website indicates their address is now Chicago. Click to see what “they say” they are all about? Roanoke Times, 12-28-2014, Pg Va 1,2: Schools leader calls for change. Once again, the RT Editors exercise their headline creativity and ingenuity to disguise a major Obama and Democrat malfunction! Virginia DOE Cans Obama’s Common Core Nationalized Education! Apparently, the VaDOE and Va Sec. of Ed. have awakened and “smelled the Common Core coffee” and found it doesn’t smell very good! Obama and his Pravda Media have been hyping the joys of Common Core Nationalized Education for years with more and more school districts and teachers giving it the thumbs-down. Big Obama disappointment given that the Pravda Media message has been that only those darn anti-education Republicans opposed Common Core. The Va Sec. of Ed is proposing major changes to the Va Standards of Learning some of which appear valid and some appear to downgrade school district accountability. Clearly measurement and accountability are keys to knowing how our schools are performing and focusing on plans of improvement for those not doing well. Hopefully the Va Legislature will look carefully at the proposed changes and continue to focus on measurements and school level accountability. Given that every State has a Dept. of Education -- Why do we have a bloated, expensive, ineffective and redundant Federal Dept of Education? Roanoke Times, 4-30-2014, Pg Op-7: Common core a liberal conspiracy? "Law-enforcement officials are appalled at the way the Obama administration exploited tragedies in Ferguson, Mo., and New York City to appeal to its political base. David Clarke, a Democrat who is the African-American sheriff of Milwaukee, doesn’t mince his words." NYC Mayor de Blasio focused his campaign on ending the NYPD practice of “Stop and Frisk” by those on-the-scene police officers, who felt a particular person might be carrying an illegal weapon. He had his mixed-race son featured in such an ad. New Yorkers for de Blasio TV Ad: "Dante"
One might speculate that if “Stop and Frisk” were still in effect on Dec 21st there was a good chance that officers at the Port Authority bus terminal might have stopped Ismaaiyl Brinsley, or other officers between there and Bedford Stuyvesant Brooklyn might have done so. Brinsley clearly was stressed and agitated (having just shot his girlfriend) and the massive handgun he carried would have presented a bulge very familiar to police officers. We’ll never know if de Blasio’s ending of “Stop and Frisk” made a difference in this case, but it certainly is possible. Certainly de Blasio’s demeanor and statements after taking office has poisoned the environment between him and the police membership. The ultimate losers are the law-abiding citizens of whatever race. Going forward, there will be many more illegal guns carried on the streets of NYC. Bad guys don’t worry about the strict NYC laws about licenses and permits. Only the sheep are inhibited and are easy prey. Roanoke Times, 12-26-2014, Pg Extra 1: Preparing for a cool journey. Roanoke photographer Michele Sons has won a trip to Antarctica. Ms Sons is a very accomplished artist. What a great opportunity to visit and view and photograph the Antarctic Ice Sheet at a record maximum coverage! Hopefully, Ms Sons will not get stuck in the Antarctic Ice Sheet the way the Gore-Mann groupies did last year. Also, she will see lots of Penguins in contrast to the demise of the Antarctic Penguins that also turned out to be another AGW Alarmist fabrication. They are doing well and still laying lots of eggs. “For an unprecedented third year in a row, Antarctica's sea ice is poised to smash a new record this month." "The Southern Hemisphere's unrelenting winds and frigid air froze ocean water into 7.6 million square miles (19.7 million square kilometers) of Antarctic sea ice this southern winter, the National Snow and Ice Data Center (NSIDC) said yesterday (Sept. 16). 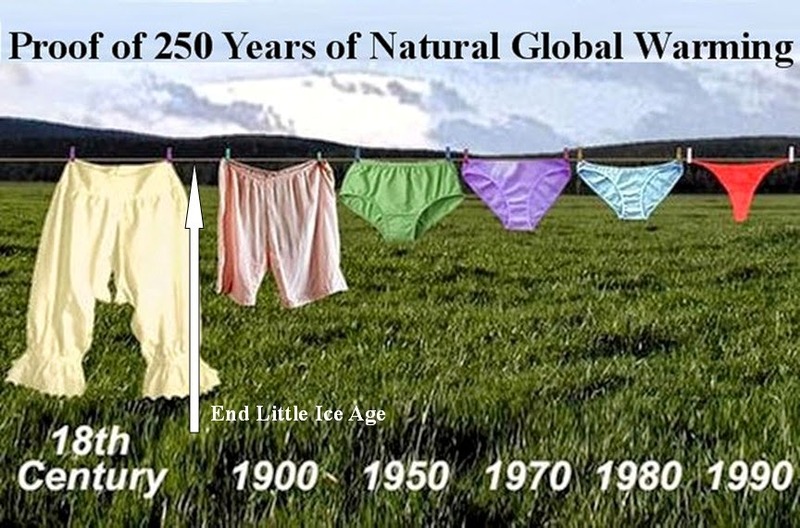 In spite of the constant Man-made AGW Global Warming Alarmist drumbeats, the reality is that the earth has warmed less than one degree in the last 150 years, since coming out of the little ice age, no change in Global Temperature for the past 17 years and the Antarctic ice sheet is doing very well, thank you very much. Roanoke Times, 12-26-2014, Va Pg 5: Fossil fuels are not the future. Yet another lengthy tract hyping the AGW Alarmist hypothesis that Wind and Solar energy can be scaled up to provide much of our utility energy requirements at a reasonable price. As always there’s no data to demonstrate how that is possible and no mention of the massive energy storage systems required to keep the heat and lights on when the wind doesn’t blow at the required speed or the sun doesn’t shine like every night and cloudy, rainy or snowy day (isn't that when we need our electric energy the most?). Roanoke Times, 12-26-2014, Va Pg 2: US Population increased by 2.4 million. The US population has increased by two million per year since 1945. That’s two cities the size of Boston. Not only does the AGW Alarmist totally ignore and fail to show how renewables will handle our current energy demands no less our population growth going forward. Its very disturbing to realize that these are the people who are greatly influencing and directing our national energy policy. 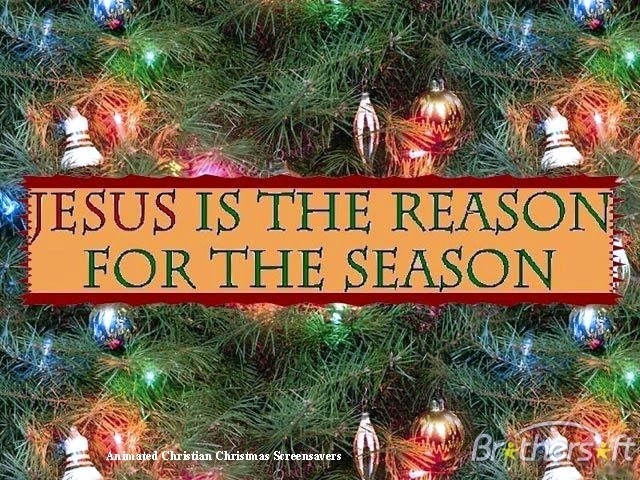 Pray for an end to the war on Christians around the world! Hanoi Jane wants to remind herself that she’s brave. Like when she turned on our POW soldiers in the Hanoi Hilton? 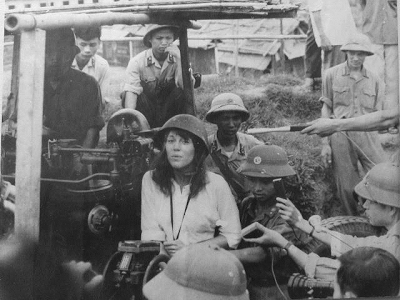 Like when she “manned” a Hanoi anti-aircraft gun simulating shooting down American planes? There is a Boot Monument in recognition of Arnold’s wounds in the Battles of Saratoga in the Continental Army, prior to his treason helping the British plan for attack on West Point. Millions of veterans would like to plant Arnold’s boot into Hanoi Jane’s posterior as an appropriate addition to her self-generated shine of herself. 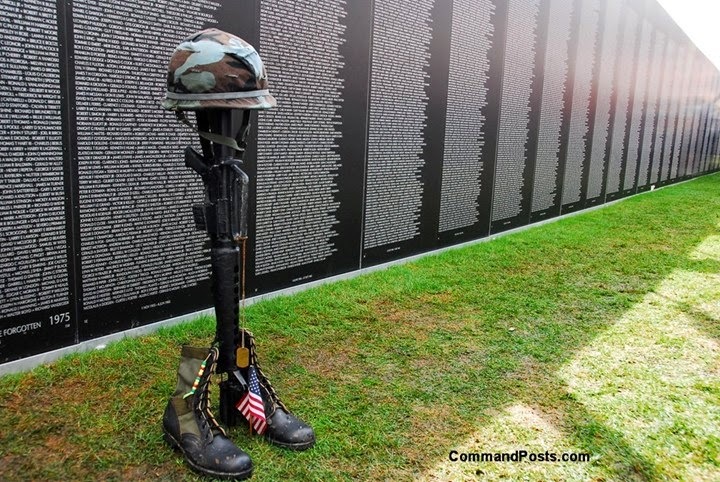 During this season of reflection, it would be fitting and proper to remember the 58,209 killed and the 153,303 wounded during the Viet Nam war and the stark reality that one of our entertainment people would turn-on and disrespect them. It’s particularly disturbing that the “entertainment industry” then went on to make her even more rich and famous than before. The Obama administration is scrambling to track down an Al Qaeda terrorist released from Guantanamo Bay years ago, offering a $5 million reward for information on him and placing him on a global terrorist list. Ibrahim al-Rubaysh was originally released in 2006 and put into a Saudi Arabian "rehabilitation" program. However, al-Rubaysh returned to the battlefield and now serves as a top leader with Al Qaeda in the Arabian Peninsula -- one of the most dangerous Al Qaeda affiliates. The case underscores the continued risks in transferring detainees from the controversial prison camp -- another four were released over the weekend to Afghanistan. Why didn’t we just keep him when we took his picture? Perhaps because our leader’s are not as smart as a six year old! This is very confusing; did not Obama declare that Al Qaeda was decimated? Will freed Guantanamo detainees resurface on battlefield? The steady stream of detainees being transferred out of Guantanamo Bay is raising security concerns among lawmakers who worry the Obama administration has no system for keeping tabs on them. The latest batch includes four prisoners once classified as high risk, individuals ranging from a known weapons smuggler to a Taliban operative involved in multiple attacks against U.S. and coalition forces. "They're very dangerous terrorists," Sen. Kelly Ayotte, R-N.H., told Fox News, after the four Afghan detainees were transferred to their home country over the weekend. Administration officials have touted the transfers as part of fulfilling President Obama's commitment toward winding down the controversial prison camp. The administration has transferred 23 detainees out of the camp so far this year, with more transfers potentially coming before Dec. 31. Latest News: Roanoke Times, 12-25-2014, Pg 1, 4: "The Interview" is available on a variety of digital platforms in spite of hacker threats. NO -- It's not "hacker" threats -- it's threats against the theatres and people in the theatres that are the risk few are willing to endure! A rogue terrorist country launches a cyber-attack against a US company on US soil including a terrorist threat against any American who sees the movie and the president of the US calls this “vandalism”. Did Obama label the July 2012 Aurora, Colorado Theater Shooting "Vandalism"? The Press and Obama keep the focus on the "Sony not releasing the film issue." The real issue was the terrorist threat to anyone going to see the movie! On a local level: when a school receives a threat the police, school administrators, teachers and parents all respond quickly and seriously. No one announces "don't worry aboudit" it's just "vandalism"! This declaration of “vandalism” from the same jerk who labeled the Radical Muslim Terrorist attack against our people at Fort Hood as “Workplace Violence”! North Korea issued a new threat against the United States late Sunday and accused President Barack Obama of "recklessly" spreading rumors that Pyongyang is behind last month's devastating cyberattack on Sony Pictures. The long statement from the powerful National Defense Commission warned of strikes against the White House, Pentagon and "the whole U.S. mainland, that cesspool of terrorism." WASHINGTON—President Barack Obama sharply criticized Sony Pictures Entertainment for canceling a movie release in response to a hacking attack blamed on North Korea, saying it was “a mistake’’ and urging the entire entertainment industry not to succumb to self-censorship. It is difficult to comprehend how far and fast our country has fallen from grace. “America: my country tis of thee”. This is our leader with just more hope and change we can believe in! 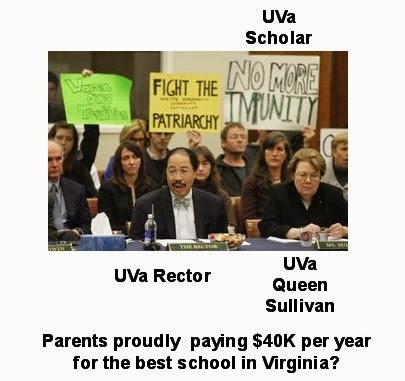 The “drive-by” damage was eclipsed by Queen Sullivan’s attack upon all the young men at UVa by throwing them under the “sexual abuse bus”; Where they still are! In Virginia, campus crime records are exempt from FOIA laws. Were not the records from the VT massacre released to the public? On the other hand, UVa spent hundreds of thousands of taxpayer dollars fighting the FOIA release of Prof. Mann’s Global Warming Hoax data. Apparently, UVa is an entity unto itself with no accountability to anyone. Even the Board of Visitors was forced to kneel and bow to Queen Sullivan last year. The Twana Brawley case involved a victim sequestered behind surrogates who told a two-year on-going story that finally resulted in the entire episode being labeled a fraud; to the detriment of the victim who clearly had experienced a traumatic experience even before Al Sharpton took control of her life. It appears the UVa case is going down the same path. How sad is that! Hopefully this case can be resolved quickly, unlike The Twana Case that went on for two years and made Al Sharpton a major feature on MSNBC and a Obama race-relations consultant. Says something about Obama and MSNBC and their values, moral compass and decision processes! To add insult to injury Queen Sullivan continues to seek out public forums in which to continue her self-inflected UVa wounds. Apparently, her esteemed backup-students (graphic in FoxNews) really need to take a remedial spelling course – their printing is pathetic too! Once again, the Pravda Press, Al Sharpton and Rogue Politicians like NY Mayor deBlasio and AG Holder have shown the awful outcomes from their divisive hostile race-baiting and riot-incitement. Our police are the thin blue line between the law-abiding citizens and the anarchists and mad-dogs that would prey upon the defenseless at any and every opportunity. No place is that more true than in the ghettos! We (those who depend upon our police officers to protect us, our family, our community and our way of life) have lost two good young guardians. Two families have lost their loved ones and providers. Our Homeland is a less safe place. NYC Protesters Chant: 'What Do We Want? 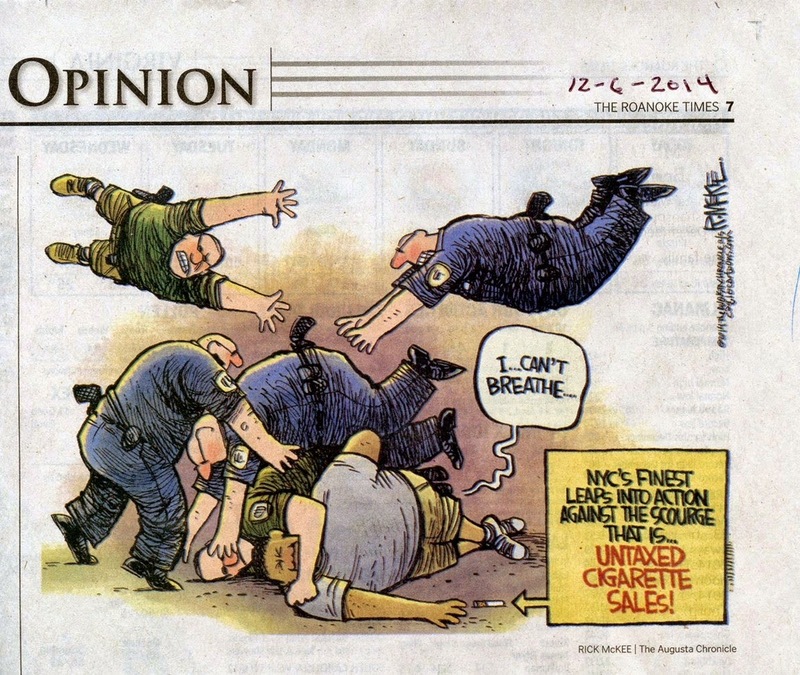 Dead Cops!' When do we want them? Now! "There's blood on many hands tonight," Patrolman's Benevolent Association President Patrick Lynch said late Saturday. "Those that incited violence on this street under the guise of protest, that tried to tear down what New York City police officers did everyday. "We tried to warn it must not go on, it cannot be tolerated," Lynch continued. "That blood on the hands starts on the steps of city hall in the office of the mayor." Ismaaiyl Brinsley, 28, shot two cops dead as they sat in a patrol car in Bedford-Stuyvesant to avenge the deaths of Michael Brown and Eric Garner. He also shot his former girlfriend at her home in the Baltimore area on Saturday morning, police said. Law enforcement sources said the NYPD has dispatched investigators to Baltimore to probe Brinsley's past and suspected involvement with the Black Guerrilla Family prison gang. The editors of the RT should make a New Year’s resolution to stop printing this tripe without major footnotes stating that this is anecdotal speculation and not demonstrated science or fact. This “story” contains many melancholy stories about coastal residents coping with ever increases in ground water issues. Really? Where is the scientific basis for this Climate Change statement? Really? Even the UNs IPCC doesn’t support this type of totally unsupported tripe! Global Sea levels have been rising between 20 to 30 cm or 8 to 12 inches per century, in a very uneven manner geographically and time-wise, primarily courtesy of Mother Nature since there was minimal man-made CO2 prior to 1950. 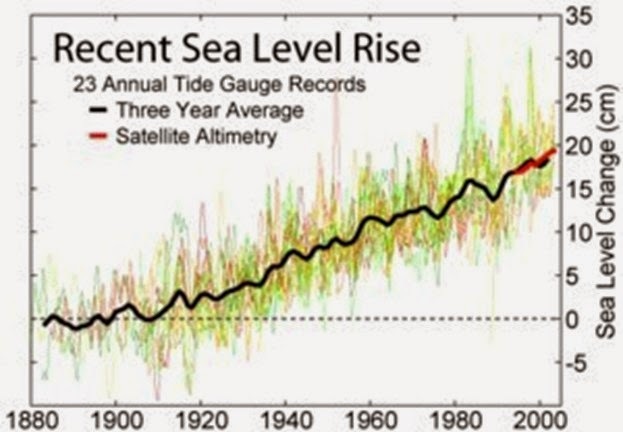 In contrast to this "story" there is no measured big recent surge in global sea level rise. The current data, including the past 100 years, projects that in 2045 (about 30 years) the Atlantic may rise by approximately 70 mm or less than 3 inches, far far from the "one foot" claimed in this "story". Not clear how far the shoreline will rise or fall! The Virginia shorelines are certainly subject to the 8 to 12 inches per century rise of the Atlantic Ocean. However, another MAJOR cause of groundwater issues is the geological history of the area. The Chesapeake Bay was formed by a massive meteorite strike from which the entire area is still being impacted. The Chesapeake Bay impact crater was formed by a bolide that impacted the eastern shore of North America about 35 million years ago, in the late Eocene epoch. It is one of the best-preserved "wet-target" or marine impact craters, and the largest known impact crater in the U.S. Continued slumping of sediments over the rubble of the crater has helped shape the Chesapeake Bay. Another MAJOR cause of the Virginia shoreline change is the tectonic plate movement that is still very active and can either increase or decrease the “apparent” shore level and therefore the “apparent” sea level. Really? We are experiencing much fewer of these weather events NOT more. Really? Sandy was NOT a Hurricane when it made landfall and Sandy’s intensity was moderate compared to many other major storms that have hit the northeast shoreline. However, Sandy did find a "target rich environment" along the densely built NJ shoreline that resulted in a big mess. A rhetorical question: Why are people allowed to rebuild in a flood-zone? The sea-level gauge at the Battery in New York shows otherwise. 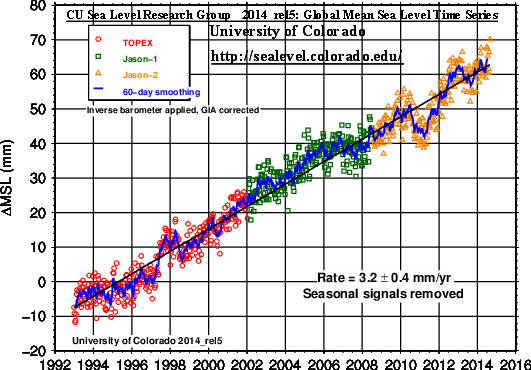 That gauge is one of the oldest on Earth and it shows a consistent rate of rise right through the period during which man-made global warming is alleged to have caused sea levels to rise rapidly.